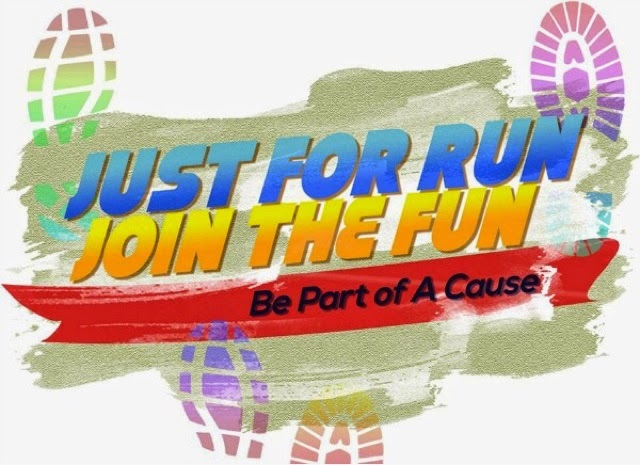 Just For Run, Join The Fun! Our health and wellness is of primary importance. 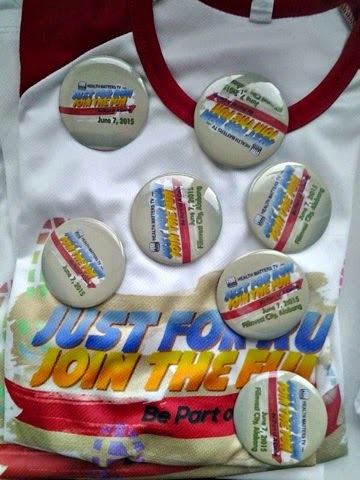 That is why, I like supporting programs and advocacies that mainly promote living healthy. Believe it or not, I used to be a runner too! Well, at least until my little guy came along. Now, I'd like to go back to my old habits. I want to become fit and healthy and be around for a long time to take care of my little boy. Every Saturdays, on ANC (ABS-CBN News Channel) I watch Health Matters TV, a block-timer lifestyle and health show hosted by fitness junkie himself Mr. Paolo Abrera with replays every Sunday at 11am. It's 2nd season aired last May 16, 2015. On it's 2nd season, Health Matters partnered with B99 Events Management in organizing "Just For Run, Join The Fun" - an exciting running event that aims to promote healthier lifestyle and of course to let participants experience a super fun filled run. But more than just the enjoyment, every step helps! 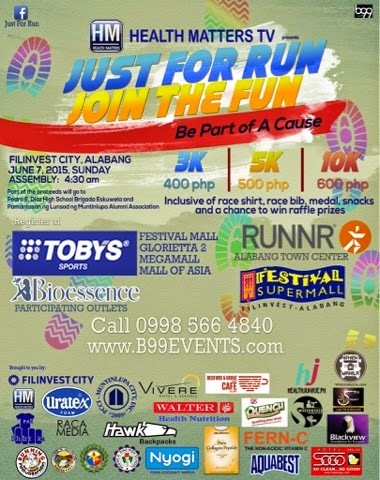 Just For Run, Join The Fun aims to support Pedro E. Diaz High School and Pamantasan ng Lungsod ng Muntinlupa. Just for run, Join the fun is on June 7, 2015 at Filinvest City, Alabang. Race shirts are available in these sizes: (XS, SMALL, MEDIUM, LARGE, EXTRA LARGE) for all categories. Join the run and receive loot bags from our sponsors on June 7. Approach our sponsors’ tents; join the special games they prepared and win gift certificates and other prizes. This event would not be possible without the help of our generous sponsors. Special thanks to (Major sponsors) Hotel Sogo, Belleieshua Collagen Peptide, Toby's, Runnr, Festival Mall, Filinvest City, (Minor sponsors) Uratex, Hawk Backpacks, Nyogi, Ok Quench, Aquabest, Walter Bread, Blackview, and Bioessence. 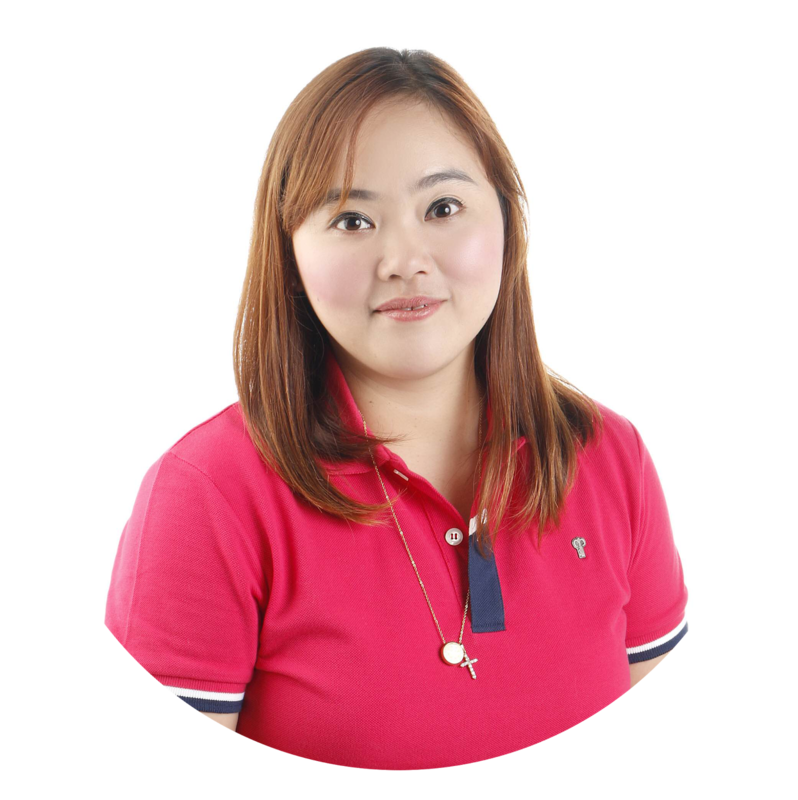 We'd like to acknowledge our Media Partners, Health Matters TV, WhenInManila.com, and HealthJunkie.ph, and our official photographers, Running Photographers. Shucks, these fun runs are always scheduled on Sundays. :( Sunday pa naman hindi ako pwede.